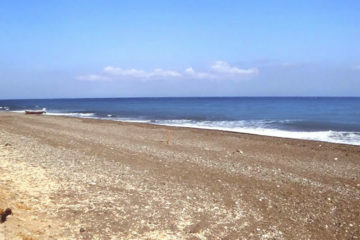 The long stretch of black volcanic sand of Kamari beach with the clear blue water, is located at the southeast of the island and lies at the north base of Mesa Vouno mountain that separates the villages of Perissa and Kamari. 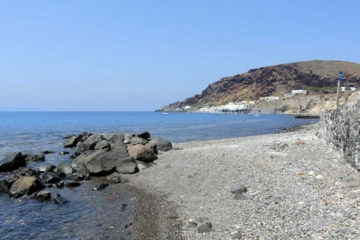 It is one of the most popular and visited beaches of Santorini. It is a well organised beach, where you can find beach bars that provide sunbeds, umbrellas and showers. Lifeguards are on duty for most of the day. It is very popular for families due to the easy access and the various facilities and services. Various water sports are available like jet ski, windsurfing, water skiing, surfing and paddle boats. 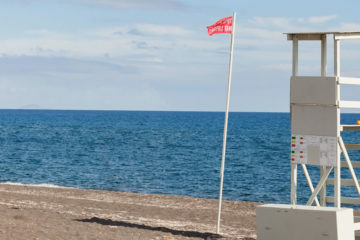 Of course there are beach volleyball courses and if you like diving or snorkeling, there is a diving center, Volcano Dive Centre and some interesting diving sites in the area. 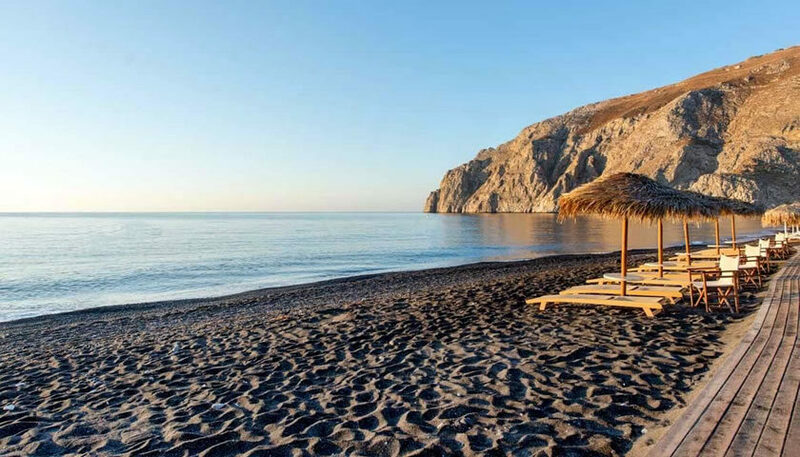 Easily accessible with many beach bars and restaurants, this is the most touristic beach in Santorini! In the northern part of the beach, the sea has slippery slabs, so you should be cautious when getting in and out of the sea. Next to the beach, there is a long promenade with many restaurants, cafes, bars, night clubs and tourist shops where you can stroll all day. Kamari offers also many accommodation options varying from luxury hotels to simple rooms, on the beach and the back streets. The distance from Fira is about 9km and you can easily reach Kamari by public transport or by car and park for free in one of the public parking areas. There are also small boats connecting Kamari and Perissa, every half hour.